for work performed on Missouri construction projects. Complete & review your Missouri lien document for free in 10 minutes or less. Missouri liens, bond claims, and lien related documents at your fingertips. Are you performing work on a Missouri construction project and have not been paid for your services? If so, Missouri allows you to file a mechanics' and materialmen's lien on the property you worked on. Filing a lien on a property in Missouri helps to ensure payment by making the real estate subject to the lien, and requiring that proceeds from a sale are used to pay the lien. LienItNow.com prepares, files and serves Missouri construction mechanics liens. When a contractor files a lien on private property, that lien uses the real estate as collateral until the amount due and owing is paid. If a contractor is performing work or delivering materials to a public project, then the public funds are used as the security for payment. Click Here to File a Missouri Lien. If a Missouri mechanic's lien has been filed, and then the contractor that filed the lien was paid, it is time for a Missouri lien release to be filed. But that isn't the only time a lien release should be used: lien releases are also required to be filed when a lien has been resolved, adjudicated or otherwise settled. If a release of lien is not filed, then the original mechanic's lien cannot be removed from the property, continuing to encumber the real estate and making it difficult to sell or refinance. If your lien has been resolved, LienItNow.com prepares, files and serves Missouri Discharges of Mechanics’ Lien Claims. Once the lienor has been paid the amount contained in its lien claim, or has come to an agreement that requires the lien claim to be removed from the property records, a Discharge of Mechanics’ Lien Claim should be filed. 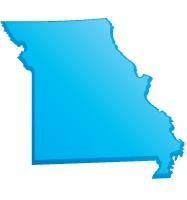 Click Here to File a Missouri Lien Release. LienItNow.com prepares, serves Missouri pre-lien notices, and if the prelien needs to be filed with the local clerk, LienItNow prepares, serves and files the prelien notice. The original contractor who contracts directly with the owner must give a disclosure notice in writing to the owner as a condition precedent to the establishment of any mechanic’s lien rights in its favor. The notice must be given either at the time of execution of the contract, when the material is delivered, when the work is commenced or with the first invoice. In addition, anyone other than the original contractor must give a written notice of intent to file a lien to the owner at least 10 days before filing a lien statement, stating that he holds a claim against the improvement and setting out the amount and from whom it is owed (note that Missouri requires NOIs to be be served a process server. LienItNow provides for an additional charge for personal service of the notice of intent, in addition to the prelien charge, once that amount is determined after the order is placed). A contractor must provide a consent of owner to preserve lien rights on residential property, and anyone filing a lien on residential property must file a Notice of Rights (and renew it regularly) to preserve lien rights. Finally, a Notice of Delivery of Labor or Materials is required at the commencement of the project to let the owner know who is on the project. Click Here to File a Missouri PreLien Notice. LienitNow.com prepares and serves Missouri Stop Notices. A Stop Notice is a notification that has the ability to enhance the effectiveness of a mechanic’s lien. A Stop Notice, or a notice to withhold funds, is sent to the company that is financing or funding the construction funds for a project. Once that company receives the Stop Notice, that company has notice that it should withhold sufficient money to satisfy the stop notice claim. The purpose of the Stop Notice is to provide the lender, financiers or funders of the construction project notice that there is money owed to a contractor, subcontractor or supplier so that an inquiry can be made as to why that money is not being paid. Click Here to File a Missouri Stop Notice. LienItNow.com prepares, files and serves Missouri Amendments to Mechanics’ Lien Claims. Amendments to a mechanics’ lien claim are often needed when something about the claim changes. Common changes to a lien claim are increases or reductions in the amount due to the lienor, or a change to the last date of work. Click Here to File a Missouri Lien Amendment. LienitNow.com prepares, files and serves Missouri Bond Claims. Bond claims can only be filed on a project where the owner, contractor or subcontractor has obtained a payment bond to ensure that every contractor receives payment for the work performed on the Project. The payment bonds issued by sureties for construction projects have specific timing requirements, but most require claimants to submit claims against the bond within sixty to ninety days from the claimants’ last date of work. Bond claims are as or more effective than a lien claim because the payment bond acts as a guarantee that payment will be made for work properly completed. Click Here to File a Missouri Bond Claim. More questions? 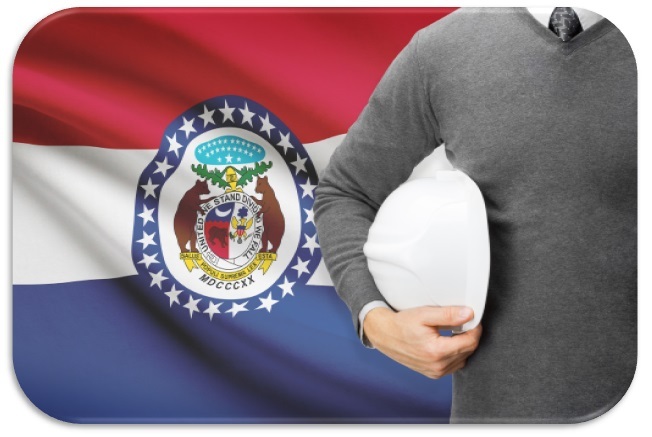 Visit our Missouri mechanics lien FAQ page.